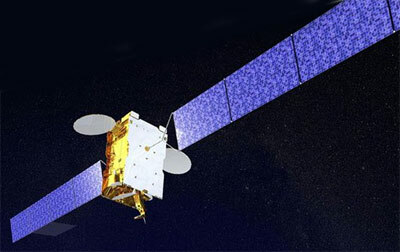 Eutelsat and EADS ASTRIUM announced in September 2003 the signature of a contract for the construction the Hot Bird 8 broadcast satellite which was launched in early 2006 by Arianespace on-board an Ariane 5 rocket. With 64 transponders that can be operated simultaneously, of which 58 transponders will operate at full power for most of the satellite's lifetime, Hotbird 8 is the largest satellite yet ordered by Eutelsat. It will join the company's constellation of HOT BIRD broadcasting satellites at 13° East that provide television, radio and interactive services to almost 100 million cable and satellite homes in Europe, North Africa and the Middle East. Hotbird 8's mission is to replace existing Hotbird capacity and to join Hot Bird 7A in bringing in-orbit sparing to a level where 13° East can maintain its reputation as one of the most secure multi-satellite video neighbourhoods. The satellite has been designed to cover all 102 Ku-band transponders/frequencies at 13° East which means that it can substitute any transponder on the other Hotbird satellites. EADS Astrium, as prime contractor for Hotbird 8, designed and built the satellite and supplied both the payload and the platform. The spacecraft will had a launch mass of less than 5 tons, a solar array span of 45 meters once deployed in orbit, and a spacecraft solar array power of almost 14 kW at end of life. It will provide commercial services for a minimum of 15 years. Hotbird 8 is based on the Eurostar-3000 version of the Eurostar family. An identical Hot Bird 9 was contracted in May 2006 for a launch in 2008. In December 2011 Eutelsat announced, that their satellite assets will be renamed under a unified brand name effective from March 2012. Hot Bird 8 and 9 became Eutelsat Hot Bird 13B and 13C respectively. The Hot Bird 10, which was ordered in October 2006 is also identical to Hot Bird 8 and Hot Bird 9 with the same mission capacity. It was initially comissioned as Atlantic Bird 4A at 7°W. When Atlantic Bird 7 became operational, it was renamed Eutelsat 3C and was colocated with Eutelsat 3A at 3° East. Later it became Hotbird 13D and in 2016 Eutelsat 33E.